This cleaner carefully and effectively dissolves all residues on the diamond and is antistatic. The result is a defined diamond surface, which allows for optimal retrieval of information from the micro grooves. Sound wise you can expect increased channel separation, a spatially stable image, extended resolution over the entire frequency range as well as increased dynamics! With this special cleaner for diamond cartridges, you will achieve perfect detail, spatial imaging, focusing of the music signal and a palpable recreation of the original musical event. Audiotop Stylus is a must for demanding music listeners. Formula: Mixture of an highly purified (99,999%) non specified substance and special nonionic tensides. Instructions: Gently clean the diamond on the cantilever with brushstrokes (moving from back to front, i.e. not against the cantilever). Repeatedly brush untreated or used pickup (about 8 times). Subsequently, brush the needle with one or two strokes after every record side has been played. 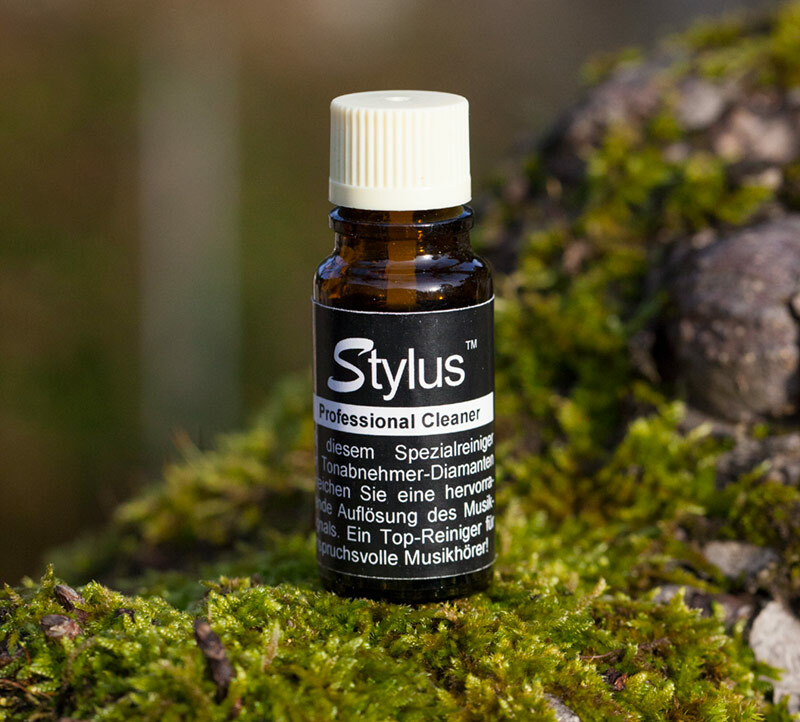 Recommendation: Don’t use the complete 10 ml content of the bottle as the power to clean may be reduced in the last 1 ml of the bottle due to residue from the needle left in the bottle. Clean carefully and only touch the diamond with the tip of the brush. We do not accept any liability for any harm afflicted to the cartridges caused by inappropriate treatment! Characteristics: Stylus remains neutral to metals, plastics and adhesives made on the basis of cyanide (no guarantee exists for other materials). Stylus has a so-called memory effect on rubber, i.e. overstretched rubber may obtain its original elasticity. The cleaner carefully and effectively dissolves all residues on the diamond and is antistatic. The result is a defined diamond surface, which allows for optimal retrieval of information from the micro grooves. Sound wise you can expect increased channel separation, a spatially stable image, extended resolution over the entire frequency range as well as increased dynamics!